From “lol” to “brb,” the internet and text messaging gave rise to a unique form of short form language – “textspeak” – in which almost all of us are well-versed. But long before the internet revolutionized communication, humans experienced a different sort of technological innovation: the telegraph. 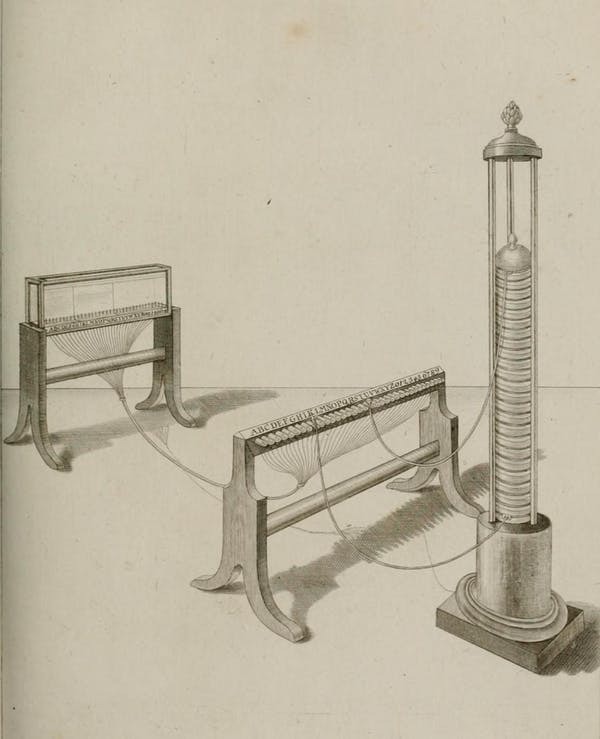 In 1837, the first commercial telegraphs were released by Samuel Morse, William Fothergill Cooke and Charles Wheatstone, and this machine – as journalist Tom Standage argues in his book The Victorian Internet – mirrored the impact that the internet has had in modern times. The result was an entirely new way to wield language – one that, in a number of ways, resembles today’s textspeak. Using electricity, the telegraph could communicate quickly over long distances – at speeds unheard of. Soon it was developed for both government and commercial use. And because we were suddenly able to transmit interactions over large distances, new types of language were created to fit the medium. There were several ways to communicate over these distances, including moving bars up and down or connecting one wire to each letter of the alphabet. One of the forms of communication developed for the telegraph that’s still familiar today is Morse code, which used sequences of dots and dashes (or dits and dahs) to represent letters and numbers. More than just a cipher, Morse code had its own short forms and abbreviations to make messages as concise as possible; in this way, it’s an early predecessor to today’s textspeak. 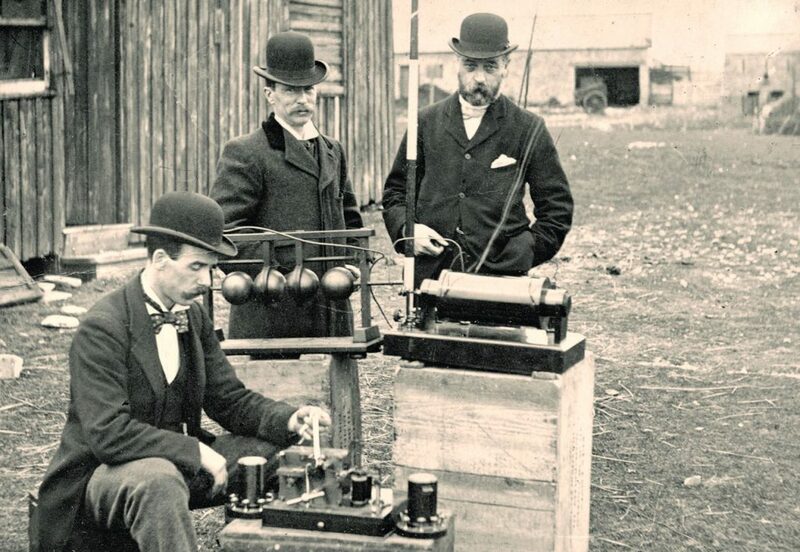 Telegrams were written communications in Morse code sent over a wire (or, later, radio waves) across great distances, which were then translated into written English for the recipients. But if you wanted to send a telegram, companies like the Electric Telegraph Company and Western Union charged by the word, with messages of 10 words costing as much as 10 cents (or US$2 in today’s money) – significantly more than current standard texting rates! So as you can imagine – just like with modern character-constrained mediums like Twitter – people developed short forms to get their message across in as little space (and, consequently, for as little money) as possible. 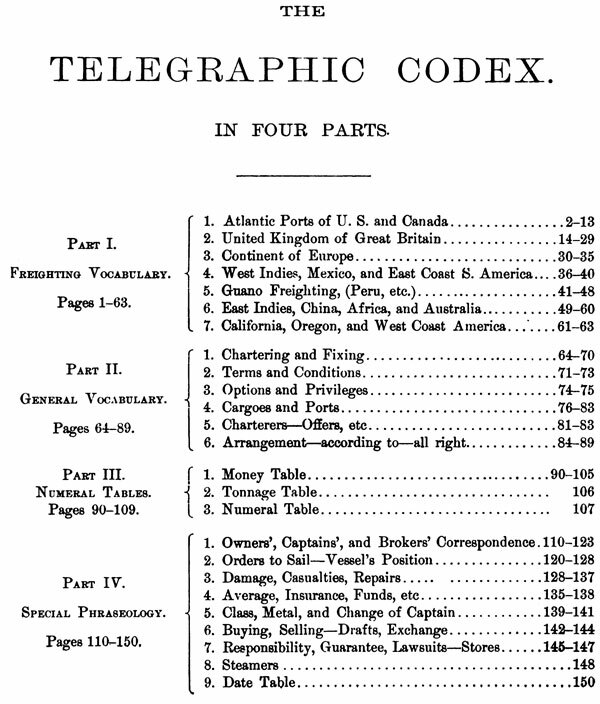 Numerous guides to the telegraphic codes were published. Many of these shortenings look familiar even to us today. Take one account from an 1890 New York Times article, which was uncovered by the blog Sunday Magazine. The article details telegrams sent between two telegraph operators who had never met each other, but had developed their own lingo for their personal messages. You can see a short form “Hw r u ts mng?” which can be parsed as “How are you this morning?” It looks a little bit like a long text message today, or a heavily truncated tweet from one person to another. Some codes from this era remain with us today, including the distress call SOS, which was first introduced in 1905 as part of German government radio regulations. Throughout its history, Morse code has undergone its own evolution as different people started to use it for different purposes. In a 2008 talk, historian Jason Scott describes this evolution from the telegraph to amateur radio, a modern hobby that involves using radios to communicate with people around the world. As Morse code was adapted to be used in these new formats, there were considerable innovations in communication. Referring to it as the “first social network,” Scott describes how amateur radio (sometimes called ham radio) operators sent each other messages and updates using codes. They also used this technology to send each other images over the radio using sequences of characters and codes that were intended to be decoded and printed out. These images, sent by slow-scan television methods (which stemmed from similar technology used to send images from space exploration, often included the call signs of their sender and other jargon, and might be an early analog to online avatars or user profile images. Thus, as people immersed themselves in technological innovations, they adapted their language to new forms and uses. HI HI: LOL of the 19th century? Indeed, many of these patterns developed by amateur radio users are familiar to those who use textspeak or online lingo. Shortly after writing my article on the history of LOL, I received an email from Ralph Wallio, an amateur radio enthusiast. He shared with me the existence of abbreviations in Morse code, specifically one for laughter. The sequence HI HI, …. .. …. .., is a short form for laughter and is a favorite among amateur radio communicators. It could even be seen as an early predecessor to LOL. Some sources speculate that this particular sequence originated as an attempt to imitate the sound of a person chuckling. HI HI is quite similar to traditional text representations of laughter hehe and haha, which have been in use since the time of Chaucer and Shakespeare. Wallio suggested that using HA HA in Morse code would be read as …. .- …. .-, which would be more time-consuming to transmit, hence the use of HI HI instead. It turns out that Morse code today has quite a few of these short forms, and some of them will be familiar to those who chat online or send text messages today – not the forms, necessarily, but the things that are being abbreviated. “Thank you,” which is often reduced to “ty” in text messaging and other online communication, appears at “TU” in Morse code. “Please” appears as “PLS” in Morse Code, and “plz” in many forms of communication online. The phonetic reductions of “you” to “u” and “are” to “r” are represented in Morse Code as well. Short forms have existed throughout human history of using different mediums to communicate, and the short forms themselves are representative of the possibilities that the medium affords. Some of these have withstood the test of time, and some haven’t; nonetheless, it goes to show how adaptable language is, and how communication technology almost always breeds new forms of writing. Originally published by The Conversation, 09.01.2015, under the terms of a Creative Commons Attribution/No derivatives license. 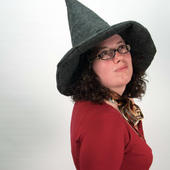 This entry was posted in Uncategorized and tagged Communication, History, Technology, Telegraph. Bookmark the permalink.